Lock Up And Go in lovely large Secure Complex in Brenton Park"
Stunning modern revamped home on one level. Ideal for holiday or permanent living in paradise for the nature lover with bush buck roaming in your garden and a lot of bird-life. The complex offers a communal swimming pool, tennis court, croquet and laundry. This lock-up-and-go consist of 4 bedrooms or study, 2 full bathrooms and main en-suite. Open plan kitchen with place for your appliances, gas hob. Wood-burning fire place in the living area for those cold winter days. 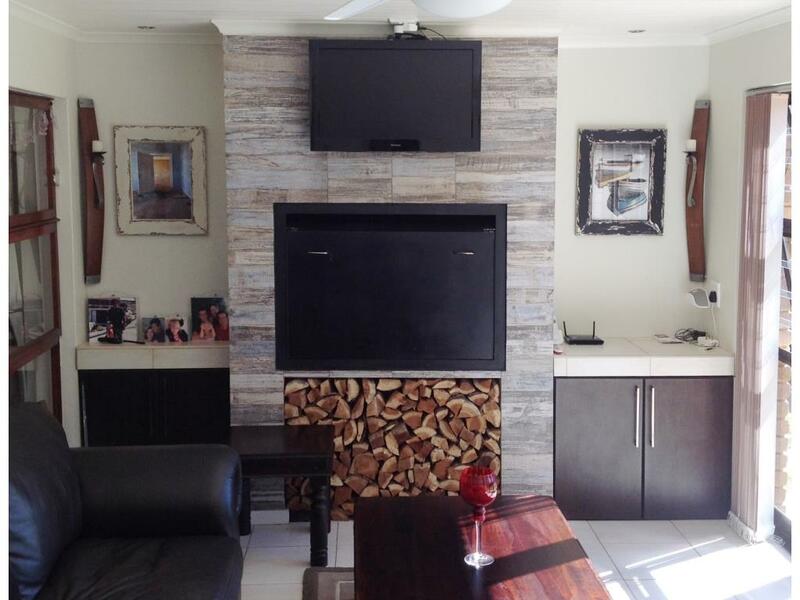 The lovely entertainment with indoor braai area with stack-away glass doors which opens up onto the garden. Extra-large garage with loads of space for your boat. A few meters away is the public jetty and slipway for a great time on the Knysna Lagoon or just a stroll to the water. Brenton On Lake is 15 minutes’ drive to Knysna town centre with shops, restaurants, medical facilities and schools.